The Allegheny County Retirees Association (ACRA) is an advocacy and social organization for retirees of Allegheny County and their surviving spouses. Membership is limited to members of the County retirement system. Being a member of ACRA is a great opportunity to meet other retirees and to get reacquainted with former colleagues and friends. 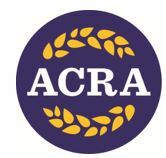 Our hope is once you review the ACRA website, you will join our association. Copyright © 2019 Allegheny County Retirees Association. Allegheny County Retirees Association. All rights reserved.